It appears that three years to the day it debuted on Netflix, the Emmy award winning animated series Star Wars: The Clone Wars will be leaving the service. Fans have noticed that the availability of The Clone Wars is listed as "Until 2017/03/07", meaning fans will only be able to watch their favourite episodes on the streaming service until March 7th. Lucasfilm has not commented on the story as of yet, though Lucasfilm publicist Tracy Cannobbio, who handled much of the publicity for The Clone Wars and its follow up series Star Wars Rebels, did promise on Twitter to look into it. 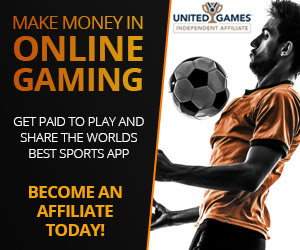 @swankmotron First I'm hearing of this. Will check. Thx. There is precedent for the series leaving Netflix, apparently The Clone Wars stopped being available on German Netflix on New Years Day. (I checked on the Canadian Netflix, and the series is scheduled to leave there on March 7th too). The Clone Wars debuted on Neflix to much fanfare on March 7th 2014, when, in addition to the first five seasons which aired on Cartoon Network, the much anticipated sixth season ("The Lost Missions") premiered. "The Lost Missions" consisted of 13 episodes which were in production following the decision to cancel the show. 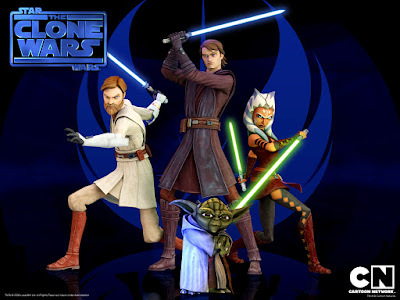 Lucasfilm allowed the animation team to complete the episodes, despite shifting focus towards new projects (like Rebels). Despite being off the air the past three years, The Clone Wars has remained relevant to the Star Wars storytelling. 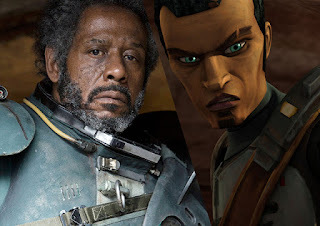 Saw Gerrera, a character first introduced in Season Five of The Clone Wars, appeared in Rogue One: A Star Wars Story played by Academy Award winning actor Forest Whitaker, and countless other Clone Wars characters have popped up in Rebels as well as new novels and comics. Given the impact of the series on current and future storytelling, having it on Netflix made The Clone Wars accessible to fans who would be introduced to the new characters in other mediums and wanted to learn their backstories. It has also been credited with the continued success of The Clone Wars and the interest in seeing its characters appear in other stories. When/If the series does indeed leave Netflix, it will be a bittersweet day. Netflix stepped in and gave the series a home during an uncertain period and the shows debut on the service was a day of celebration (albeit, in its own bittersweet day) and there can be no denying the role of Netflix in the continued interest in The Clone Wars. While the series will still be available for purchase on DVD/Blu-ray/Digital download, having it leave Netflix makes it less accessible for those just looking to check it out for the first time. @Mike Farnham, Yes there is. There's also one in "Colour" and "Labour"
@Mike Farnham: Only if you live in America. Are we ever going to get Rebels on Netflix? @Mike Farnham, get an education, mate. Well, it's March 8th and Clone Wars is still on Netflix. Did it get renewed or was the whole thing a hoax? September 12 still on Netflix I live in st.louis would that have anything to do with it.